Size Available- 6" to 13"
We are one of the prominent manufacturers and suppliers of an optimum quality range of Melamine Quarter Plate in the domestic industry. To suit the varied needs and choice of clients, these plates are designed in various patterns and color options. 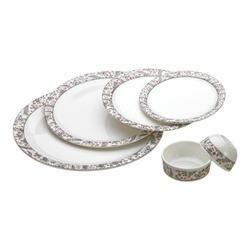 superserve melamine dinnerware & set. Our Melamine Dinner plate(11 Inch) is clearly as practical as it is beautiful. Its generous size, color and durability are suited for both indoor and outdoor entertaining, and its eye-catching contemporary design makes an instant impression. 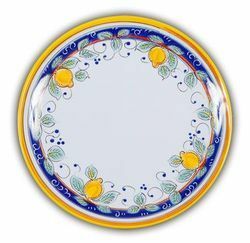 Fill it with any food items - with this attractive Plate on your table, you won't need a centerpiece. We are counted among the best name in the market offering world class array of Melamine Plates.